 • We Got Dumpsters offers 10-Yard, 15-Yard, 20-Yard & 30-Yard dumpster rentals in Delaware County PA.
• Call to secure your Boothwyn Dumpster Rental or schedule a pick-up at your convenience. • Our team can recommend the proper dumpster rental in Boothwyn PA for your job… whether you are cleaning-up your home or starting on a new job site. 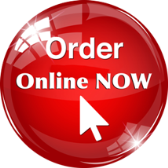 • We will schedule our delivery for the soonest possible date in Boothwyn PA 19060… Saving you money & time! • Our Roll-Off Dumpsters includes a low, flat rate with delivery, pickup, relevant taxes and your rental period bundled together. Ask about our All-Inclusive Dumpster Rental in Boothwyn PA.
• WGD has ZERO hidden fees… You will know precisely how much you are spending on disposal. Our goal is for you to stay on budget with your Boothwyn Rent A Dumpster!! This 10-Yard Dumpster is perfect for contractors & homeowners working on renovations or small projects. This 10-Yard Dumpster easily fits into most driveway. This Dumpster is ideal for garages, basement cleanouts, small scale remodeling and more. This dumpster holds approx. 2-3 pick-up truck loads. When space is limited this 15-Yard Roll -Off is perfect to get rid of junk. This residential 15-Yard Dumpster is perfect for the small scale renovation, Ideal for home cleanouts, minor kitchen or basement renovations, yard cleanup projects, seasonal cleanups and junk removal. This dumpster holds approx. 3-4 pick-up truck loads. This customer favorite is a 20-Yard Dumpster. This construction sized 20-Yard Dumpster used for multiple room renovations, commercial office cleanouts & home demolitions. This 20 Yard Roll-Off Dumpster is also great for large scale basement and office building cleanouts. This dumpster holds approx. 4-5 pick-up truck loads. Then this 30-Yard Roll-Off Dumpster is the right choice. Ideal for clean-up of foreclosure properties, demolition of buildings, construction debris and clean outs. This dumpster holds approx. 6-8 pick-up truck loads. Prices for dumpster rentals in our service areas include initial delivery fee, hauling, and disposal up to the allowable tonnage as described above. These prices do not include “Disposal Overages” or “Unable-to-Service Fees”. Anything over the allowable tonnage is charged $89 per additional ton. These prices do not include trip charges or unable to service fees. Our "Unable to Service" or "Trip Charge" is $150 per occurrence. Any clean masonry/dirt containers that are mixed with trash will have additional fees will be applied. Contact us for any questions you have about our fees or dumpster rentals in PA, North Carolina, Washington DC, Maryland & Virginia and the surrounding areas.